In an age when punters think the only bookmakers are those faceless ones online, it is reassuring to know that there are still independent bookies working at racecourses. Geoff Banks is such a man. It is in his blood. His father was a famous on course bookie and Geoff is now also a legend in his own lunchtime. Outspoken, and not afraid to speak up against those who run the sport, Geoff cares passionately about the future of racing and about the future of on course bookmaking. Such men and women cannot benefit from the tax benefits of the big companies who operate from the likes of Gibraltar. Recently, I sat down for an hour long on camera chat with Geoff Banks. We discussed the hot topics that surround racing right now. Small field races, the growing number of all weather meetings, drugs administered to horses and much more. In later episodes of our conversation you will hear Geoff criticise The Racing Post newspaper and give clues as to why you may wish to think twice before betting on races staged at Wolverhampton. Watch the 20 minute interview here and, please, feel free to leave your comments. very truthfull….racings doomed same as england sad but true…..
Quite brilliant. I will be opening an account with Geoff Banks later this year just because I remember his dad well and it’s obviously a case of like father like son. A proper bookmaker. What an excellent interview. 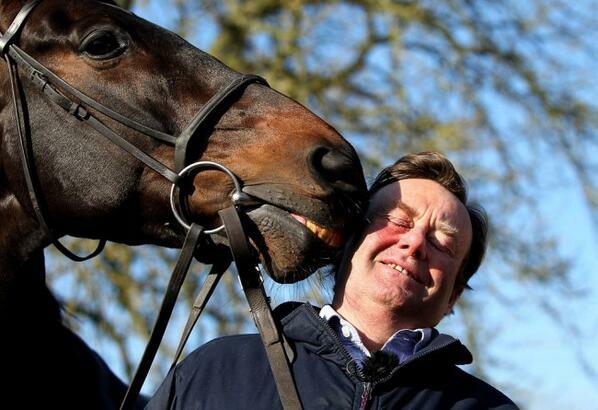 Yours views on Nicky henderson are, I feel spot on . It wasn’t a personal attack on him, but on what he gives, or fails to give racing. It would be nice if people in the media could learn that speaking up for the sport and challenging trainers and bookmakers is far more positive than continually patting each other on the back saying “nothing wrong here” ! Good stuff geoff. None of this favours Racing. Next Next post: The danger of liberating lunatics?